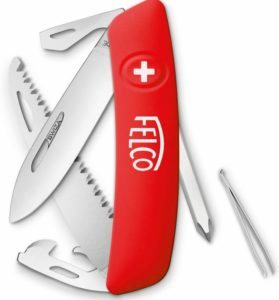 FELCO is a leading international producer of pruning and cutting products. FELCO’s aim has always been, and always will be, to offer innovative and durable solutions to commercial pruning and cutting markets, the professional and the domestic user. For small or large hands. For left or right handed. For assisted pruning (pneumatic or electronic). Viticulture – For all vine stock formation, pruning work and for fructification pruning. Parks, Gardens, Nurseries, Landscaping – For all pruning and regeneration work on trees, shrubs and bushes. Maintenance and cleaning of plots, hedges and large flower beds. Arboriculture, Horticulture – For all formation and fructification pruning work. Pruning and regeneration of trees and shrubs. Limiting development of vegetation. For all pruning and regeneration work on plants, and for harvesting flowers. Aeronautics – Emergency cutting of helicopter transport cables; identical use in the field of military transport. In general, aeronautical servicing, repair and maintenance. Agriculture, viticulture – Barbed wire fencing, all types of cabling work. Automotive, pneumatics industry – Preparation and cutting of tyre cords for radial carcasses. Repair and deconstruction in the automotive sector. Cables, wire-drawing mills – Cutting steel, stainless steel or galvanised steel cables and wires. Preparation of splices. Civil engineering, buildings – Cutting soldered wire-mesh, steel reinforcement bars and prestressed cable elements. Demolition works. DIY, leisure, floral arrangements – For all cutting operations of various materials, or for cutting plants. Electricity, telecommunications – Rigging electric cables and telecommunication cables. Preparing splices. General cable cutting. Forestry – Wood-hauling work. Porterage and stowing. Harbour activities – Cutting customs and excise seals on containers. Cutting slings. Stowing and porterage of goods. Leather industry – Cutting leather. Oil industry – For rigging and tying-down work on oil platforms. Preparation of splices. General cable cutting. Ovine and caprine rearing – Trimming hooves. Hoof Clippers – Developed in collaboration with sheep and goat breeders. FELCO hoof clippers provide an ease and quality of cut that makes this works easier and more productive. Both blades are coated with Xylan® to guard against hoof infections. The ergonomic handles permit extended working periods with minimal stress on the operator’swrist and joints. The Felcotronic (F800M) with hoof attachment is in a class of its own – portable, new generation battery for long operating hours. Packaging, unpacking, strip – General packaging of goods, cutting steel bands. Rail transport – Cutting cables for the suspension of overhead catenary systems. Preparation of splices. Repair and manufacturing workshops – For all cutting of cables, wires, sheet metal, screws, nails and other materials. Cycle repair workshops. Watersports – Manufacturing of sails. Emergency cutting of cables during dismasting. Quality, Environment and Safety certification are testimony to the perpetual quest for excellence. Our three core values -ERGONOMICS, INTERCHANGEABILITY and DURABILITY- have remained unchanged since 1945. The full mastery of production processes guarantees the consistent quality of products; the added mastery of production capacity assures faultless and timely deliveries to customers.